Do all the changes at Disney’s Hollywood Studios make anyone else feel a little like the characters in Toy Story as they prepared for Andy’s move to a new home? Making sure you have all your parts, finding a moving buddy, garage sale fears, and a new place… it’s all so much pressure! Well, we too found ourselves falling into uncertainty as Hollywood Studios shifts from what we formerly considered a half-day park to an easy full-day mission with the addition of Toy Story Land as of June 30, 2018. Well, keep calm and “reach for the sky” as we gather up a few time savers that will help to make the most of your day at Hollywood Studios! Save loads of time by NOT wasting it in traffic! Disney Resort transportation is available from all resorts to Hollywood Studios, but you will cut down even more time if you stay in one of the resorts close to Hollywood Studios. Four especially close Disney Resorts include Disney’s Yacht Club Resort, Beach Club Resort, BoardWalk Inn, and Caribbean Beach Resort. Many of these offer boat transportation as well as the usual bus transportation. You can also walk to Hollywood Studios from a few of these resorts. In the coming years, guests staying at Disney’s Pop Century Resort and Disney’s Art of Animation Resort will easily be able to access Hollywood Studios via the Disney Skyliner. Plus, a Star Wars Hotel is in the works with close proximity to Hollywood Studios’ new land, Star Wars: Galaxy’s Edge. If you haven’t already, you’ll want to download the My Disney Experience (MDE) App for real-time information. You can use this app as a park map, see wait times, show times, character meet and greets, dining locations, make reservations, make FastPass selections, and SO much more. This app is a Disney fan’s absolute best friend! No need to waste time studying a park map once you’re in the park! Before you set off on your park mission, be sure to check out the layout of Hollywood Studios well in advance. Even if you are a seasoned Hollywood Studios visitor, the opening of Toy Story Land has shifted some of what you may be used to, such as the Toy Story Mania entrance to be within Toy Story Land. Check out the park map online or on your MDE app and you’ll be ready to rock and roll the moment you step foot in the park. The standby line is inevitable, but you might as well cut out the lengthy line waits for as many attractions as possible to save time! FastPasses are free with a park ticket and allow guests to reservation three FP+ attractions in advance. Disney Resort guests are able to make their selections 60-days in advance of the first resort night. Non-resort guests must wait for 30-days out. Again, a HUGE perk as a Disney Resort guest! Hollywood Studios is on a Tier FP+ System allowing guests to select one FP+ from Tier 1 and two FP+ from Tier 2. The three Toy Story Land attractions (Slinky Dog Dash, Alien Swirling Saucers, and Toy Story Mania) are all in Tier 1. All other Hollywood Studios FP+ attractions are now on Tier 2. Our recommendation would be to select either Slinky Dog Dash or Alien Swirling Saucers as those are the most popular Toy Story Land attractions. Then, select two Tier 2 attractions such as Rock ‘n’ Roller Coaster and Tower of Terror. Schedule the FP+ times for late morning/early afternoon so you have your morning free to wait in line for whichever Tier 1 attractions you aren’t able to select. Once you use your three FP+, get on your MDE App to select a 4th. Done with your forth FP+? Again, get on your app for a 5thFP+… and so on until the park closes. Trust us, FastPasses save LOADS of time! No surprise here! One of the very best ways to make the most of your time is to arrive early. With the opening of Toy Story Land, this doesn’t just mean you should arrive when the park opens but rather at least 45 minutes to an hour before guests are even let through the gate! From time to time, Disney will open the gates before the official park opening just to help alleviate the crowds. We saw this multiple times when Pandora – World of Avatar opened at Animal Kingdom. EMH (Extra Magic Hours) are available to Disney Resort guests. This allows resort guests in the park one extra hour before the park opens or one extra hour after the park closes. This is just one of many resort guest perks! With the opening of Toy Story Land, Hollywood Studios is offering EMH almost every day from 7:00 am to 8:00 am, with official park opening at 8:00 am. As a resort guest, this will save you loads of time-fighting the crowds to get in and access attractions before other park guests. Take note that with Toy Story Land’s opening, Hollywood Studios has been known to double up with two EMH for select days. So, not only is 7-8am for resort guests but also 10:30pm-12: 30 am after the park closes. Be sure to check park hours and EMH well in advance of your arrival! While we love a good breakfast (especially at Hollywood Studios! ), the key to saving time and taking advantage of the early morning hours is to skip breakfast in the park. Definitely eat breakfast, but we’d recommend doing so in your resort room while you’re getting ready that morning. A breakfast shake, breakfast bar, muffins, PopTart… whatever will hold you over until lunch. Don’t forget you can pack snacks to munch on in the park while in line or while going from one attraction to another. You may have heard that eating at a quick-service location during off-peak hours is a great time-saving tip. This is absolutely correct but doesn’t always work out when FastPasses and showtimes come in to play. No worries, just pick up your MDE App and Mobile Order lunch. It’s super easy on the app and truly saves a ton of time – plus it’s a fun thing to look over menus and order food while waiting in line if you’d like. Current Mobile Order locations at Hollywood Studios include: ABC Commissary, Backlot Express, Catalina Eddie’s, Fairfax Fare, PizzeRizzo, Rosie’s All-American Café, and Woody’s Lunch Box (as of June 30, 2018). Hollywood Studios is known for their impressive live entertainment! Sure, we tend to focus on the rides, but skipping out on Hollywood Studios entertainment is a mistake. Highlights include Beauty and the Beast – Live on Stage, Disney Junior – Live on Stage, A Frozen Sing-Along Celebration, Indiana Jones Epic Stunt Spectacular, and Voyage of the Little Mermaid. Select a couple of these that appeal to you the most and enjoy them! Just be sure to check out showtimes well in advance and arrive early to guarantee seating. Trying to decide which shows to see and at what time doesn’t have to be a time waster. Everyone needs a break from time to time! Whether it’s the heat or tired legs, make the best of your breaks to get the most out of your Hollywood Studios day. Go ahead and grab an ice cream sandwich from Scoops on Sunset Blvd while laughing along with Citizens Hollywood. Take a slow stroll through Walt Disney Presents and check out the Star Wars Galaxy’s Edge model available for viewing. 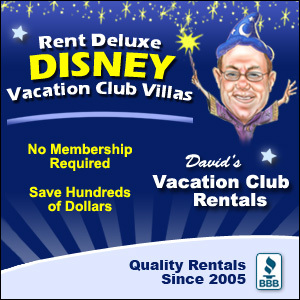 Or visit your favorite Hollywood Studios character to get out of the heat. Time saver tip: Have a Disney Visa card? You’ll be able to skip the line to see a Star Wars character in the Star Wars Launch Bay (it’s usually Kylo Ren!). Hollywood Studios offers two amazing nighttime shows. It can be difficult however to see both due to timing. This means you’ll want to be very time conscience with your evening game plan! Save time and reserve a Fantasmic! Dining Package. With this package, you can dine at one of three table service restaurants: Hollywood and Vine, The Hollywood Brown Derby, and Mama Melrose’s Ristorante Italiano. After your meal, you are provided with passes to a special VIP section upon entering Fantasmic. Keep in mind, typically there are two 30-minute Fantasmic shows which for example times, could be at 9:00 pm and 10:00 pm. We’d recommend watching the early show (9 pm) so you can snag a spot after Fantasmic to watching the fireworks and projection show known as Star Wars: A Galactic Spectacular which in this case would be a 10 pm. Again, working out this game plan well in advance will save time and stress when the evening rolls in. We hope these time savers come in handy so you get the most out of your Hollywood Studios day!